The Court of Appeal has very recently decided the case of Winterburn v Bennett EWCA Civ 482, dealing with just what action a landowner must take in order to avoid someone using his land from acquiring prescriptive rights over it. There is more than the whiff of class war in this case, where the owner of a fish and chip shop (“the Shop”) sought to acquire a prescriptive right to park in the car park of a Conservative Club (“the Club”) based on the Shop’s customers and suppliers having parked there to collect their fish suppers or drop off frying essentials since the late 1980s. From the outset, and until about 2007, there was a sign in the Club car park which read “Private car park. For the use of Club patrons only. By order of the committee”. 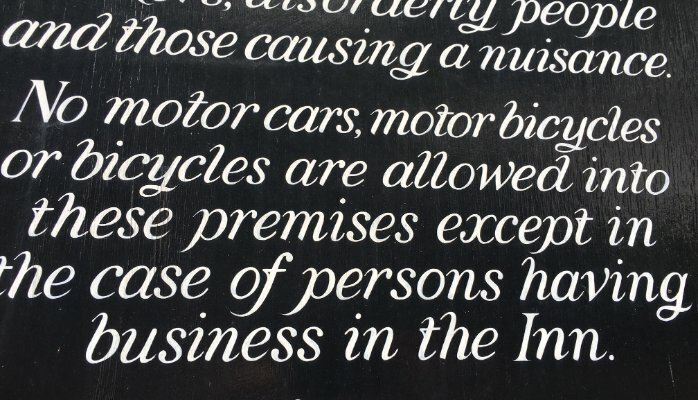 The sign, at the entrance to the car park, and repeated on a window of the Club, could clearly be seen by anyone driving into the car park. So, was this sufficient to prevent the Shop from acquiring a prescriptive right? The Court of Appeal concluded that the sign was indeed sufficient to prevent a prescriptive right from having arisen. The interesting question, however, is how the judges reached that decision. As all law students will know that, as with claims for adverse possession, claims based on prescription rely upon exercising some use of another’s land “nec clam, nec vi, nec precario” (openly, without force, and without permission). Although it might not be immediately obvious, “without force” carries a meaning wider than merely its literal meaning. What matters is whether the would-be holder of prescriptive rights knows that his use of the land is contentious. If he does know this, but continues his use anyway, that use is by force. “the circumstances must indicate to persons using the land that the owner objects and continues to object to the parking… the issue is whether the owner has taken sufficient steps so as to effectively indicate that the unlawful user is not acquiesced in”. Although counsel acting for the Shop argued that, where the signs were obviously being ignored, it was incumbent upon the Club to make greater efforts to prevent unlawful parking on its car park, the Court of Appeal disagreed. Pending any changes in the law of prescription which may result from the Law Commission’s excellent report into “Easements, covenants and profits a prendre“, Winterburn is likely to reduce the number of successful prescription claims brought.